Being the famous indie game release announcer that I am, I occasionally receive review copies of great indie games from fellow developers. I recently was sent a copy of Reckpunk to look at—and, after way longer than I would have liked, I finally had a chance to sit down and play it. 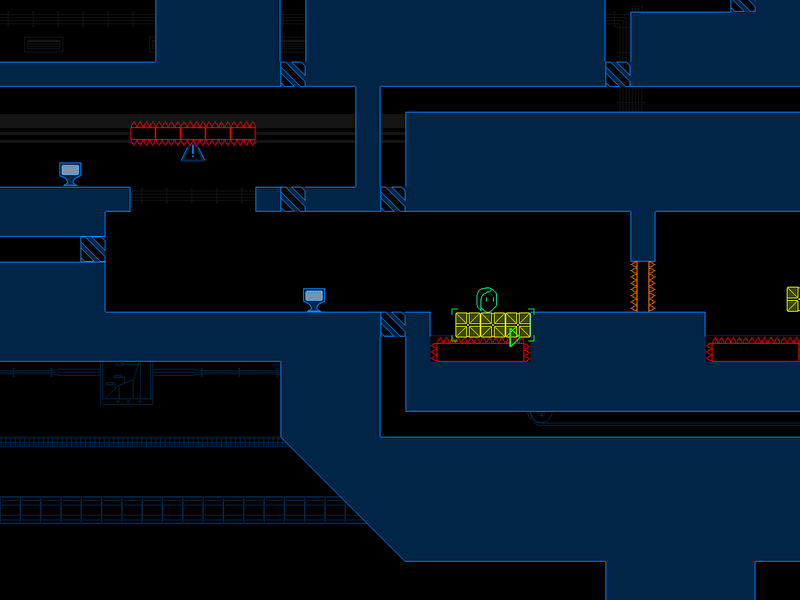 Reckpunk is a puzzle platformer, kind of somewhere between VVVVVV and Bit.Trip Runner…but, controlled by your mouse. Like a runner game, the character is constantly moving and it’s the player’s job to keep the character out of danger. Unlike most runners, however, you don’t control the character. Instead of jumping or sliding around obstacles, you use the mouse to destroy walls and move bridges as the character moves along. Screenshots don’t really do the game justice. It can be difficult to tell what’s going on, given the mouse controls, and you miss out on all the little details like background animation. You also can’t get a sense for the pace of the game. While there’s often not a lot going on in any one screen, you move along so quickly that what you see is only a small part of any level. I do also have to point out that the game is currently in development. The beta demo was pretty short, but looking at the developer’s website, it’s clear that there’s a lot more planned for the finished version. The puzzles in the demo were pretty fun and things were really building up towards the end, so I’m interested in seeing where the game goes in the full version. I would have given the game a higher score, but the controls hold it back a bit. The default controls have your mouse cursor staying in place while the character moves—that is, your cursor falls behind unless you physically move the mouse. I guess that helps when you’re trying to accurately click on obstacles, but I found myself constantly having to move my mouse and still having trouble keeping up. You can change the controls to have the mouse follow along, which was much better…but, whenever I died, the cursor seemed to default to the corner of the screen. Some of the checkpoints are dangerously close to obstacles, and I found myself having trouble getting my cursor from the corner of the screen, over to pick up a bridge, and then back to my character in time to keep them from falling into a spike pit. If you make it through without dying, you’ll never notice the issue and the game will be a lot more fun. If you die at some point, though, it quickly becomes frustrating. 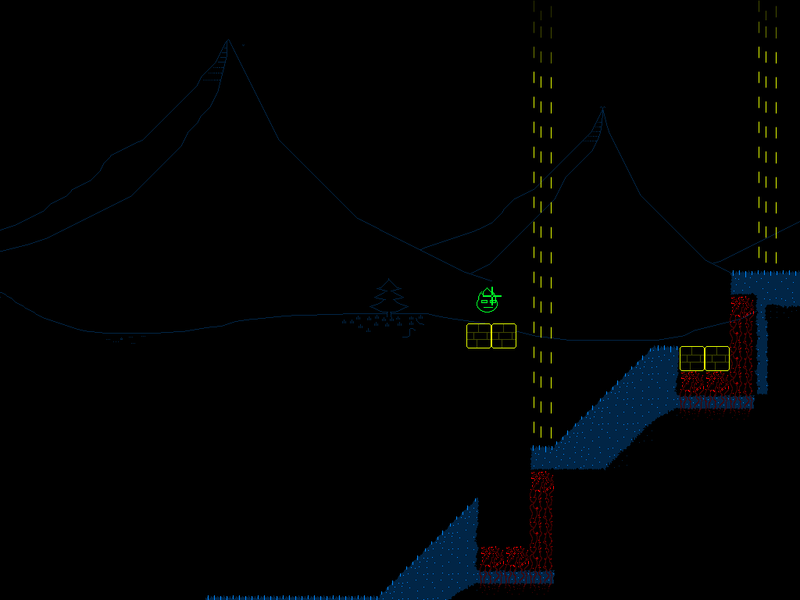 Again, Reckpunk is currently in development, so it may not be an issue in the finished version. It was overall a pretty fun game with decent graphics and good music. If you’re on the fence, you can head over to the itch.io page and download the demo for free. If you want to support the developer (and, why wouldn’t you? ), it’s only $1.71 to get the current beta and have access to the full game when it’s completed.